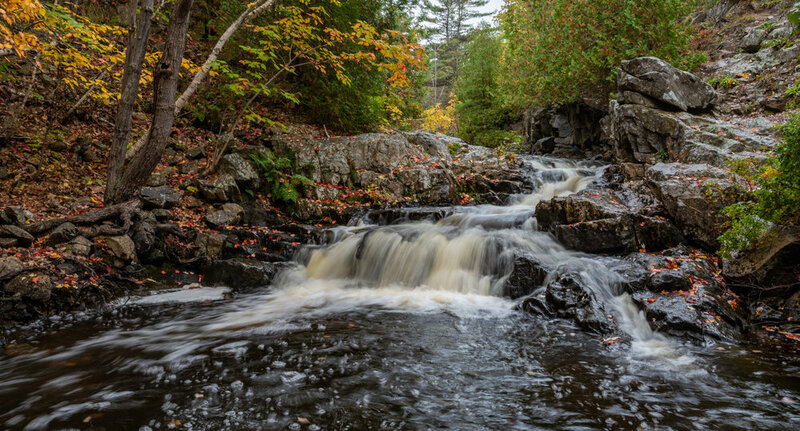 This tour and photography workshop is a 6 day, 5 night trip throughout one of America's most beautiful places, Acadia National Park and its surrounding areas. This workshop will be co-hosted with photographer Ray Yeager. Ray spends half the year residing just outside the park and knows the area very well. 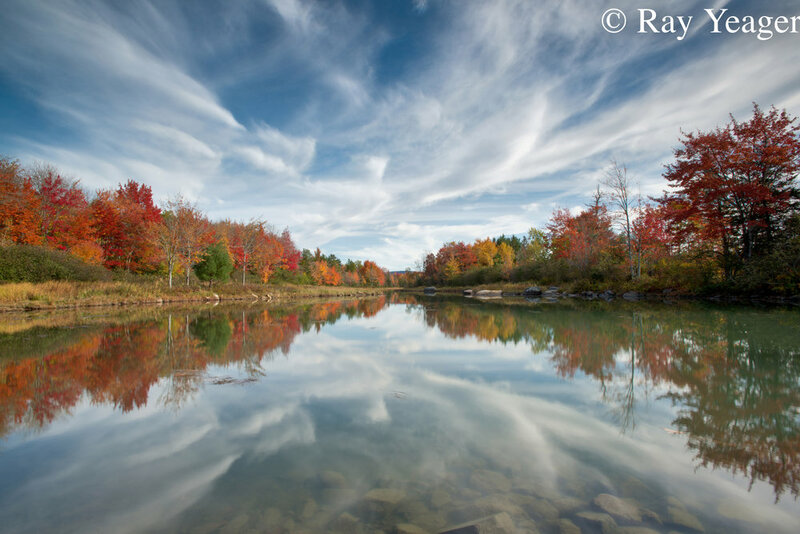 You can see more examples of Ray's incredible photos of this park at http://www.rtyphotography.com. 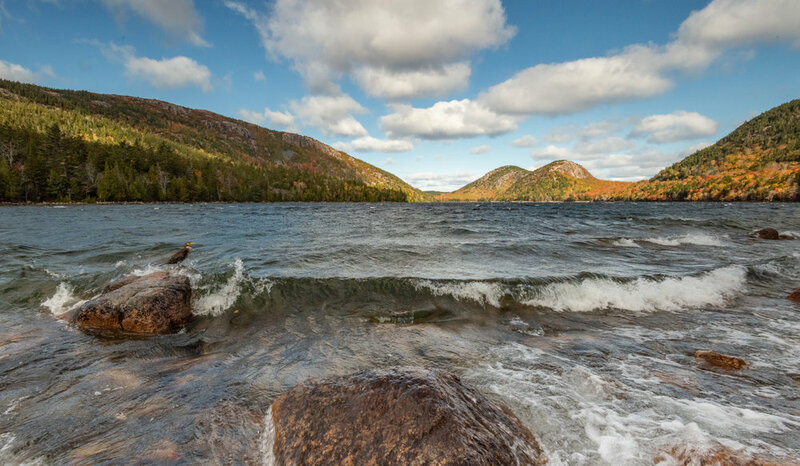 Over the course of the week we will see and photograph many different aspects of Acadia National Park. We will photograph sunrise, sunset and even under the stars in many different spots throughout Mount Desert Island. Besides the amazing landscapes, this park is famous for its night skies! We will visit places like Bass Harbor Light, Cadillac Mountain, Thunder Hole, Jordan Pond and many more locations. There will also see the beautiful fall foliage that fills the park during this time of year depending on the weather conditions. This particular week is typically the peak of the fall color but keep in mind that nature can be unpredictable at times. This is a great time of year to visit the park because it’s not quite as crowded as visiting in the summer months and the fall foliage makes the landscapes that much more exciting to see. There’s always a chance as well that we may see some wildlife while out in the park and will take advantage of any opportunities to photograph them should we come across anything exciting! We will meet at the hotel on Friday afternoon (10/11) around for a short meet and greet and overview of the week and head out that evening to start our tip! Days 2-5 will be full days photographing (or you're welcome to plan anything on your own you'd like, it's your trip!) before departing Friday afternoon or evening. -Camera(s) with a wide angle lens and a zoom lens if you have one. For landscapes you will want a wide angle lens. Anything from an ultra-wide angle to something like a 24-70mm (or equivalent lens in that range) will work. I personally use the following lenses: Tamron 15-30mm 2.8, Nikon 16-35 f4 and 24-85mm. Ray uses a 14-24mm 2.8, 24-70mm 2.8 and 17-35mm 2.8 lens. For night photography you will want a lens of 24mm or less (ideally in the 14-24mm range) as well as a lens with an aperture of at least f4 however f2.8 is preferred. If you do not have any of these lenses, cameras or even want to upgrade for the trip, there are multiple rental sites online that you can rent equipment from for reasonable prices. I can assist with this if necessary. - I also recommend bringing any telephoto lenses you have of 300mm or larger in the even that we should see wildlife. - Tripod – this is absolutely necessary for night photography. It is also needed for longer exposures of landscapes. - Filters if you have them, specifically ND filters and/or graduated filters. If you don’t have them, don’t worry! -Park fees and transportation throughout the park. -Full instruction throughout the entire trip for photography or videography if you prefer taking videos. There will also be editing lessons in both Lightroom and Photoshop. -Flight or travel costs to Mount Desert Island. Food, drinks and souvenirs are also not included in the trip cost. -Optional excursions that you may choose to do at your own expense. -$1250 USD per person if traveling with someone that will participate in the workshop and share a hotel room. -All payments are due in full by and are nonrefundable after Sep 1st 2018. Payment methods accepted are PayPal or personal checks. -$1000 Per person (discounts available if signing up as more than 1) - this option is for instruction only as well as transportation and park fees from the meeting spot. You will be required to get to the meeting spot although depending on the hotel booked, pickup is a possibility. This can be discussed more if choosing this option. Both Harry & Ray are members of Nikon Professional Services but also have experience with Canon and Sony camera’s as well.